There is a lot of interest in computer science today, particularly at the K-12 school level. While many arguments for computer science in K-12 focus on economic needs, we believe things like coding are important because computers are increasingly mediating and affecting the very heart of the way democracy functions. If computer science is that important, then it must be taught frequently, critically, and creatively. With our #cs4ela program, we explore innovative ways computer science might be integrated into an unlikely setting: English class. Check out the sample projects below or visit the program's website at cs4ela.org. 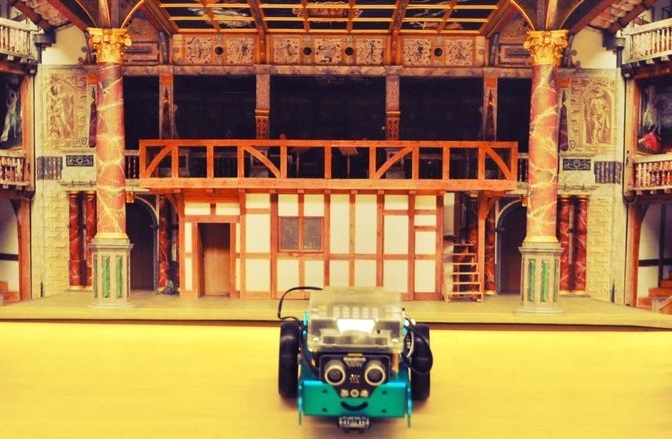 BardBots is a project in which students are introduced to key concepts in computational thinking via an unlikely combination: Shakespeare and robots. We believe that the distance between the humanities, the arts, and computer science is not as wide as it appears. The project emerged over a series of conversations where we started thinking creatively about computer science education: What does literary study teach us about computational thinking? What does robotics teach us about humanity? Are computational languages really just another kind of human language? The result is BardBots. Mixed literary analyses introduce students to computational text analysis techniques by exposing them to the ways quantitative data about literature can deepen one’s qualitative interpretations. In one example, I present students with data from Shakespeare’s Romeo and Juliet. Students receive a data table with the frequency of word usage for “love” and “death” in every scene in the play. Students are asked to plot the word frequencies on a line graph in sequential order. Then, they read a passage from the text and have to include quantitative data in their analysis of what the author is trying to achieve qualitatively.